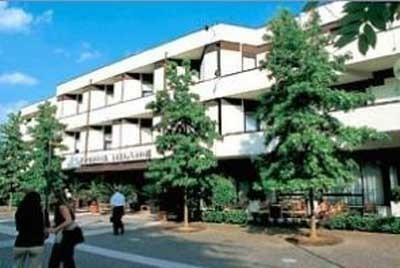 HOTEL TERME MILANO SRL, Hotel, wellbeing centre, ayurveda, pe EUROPAGES. The Hotel Terme Milano, ideally located in the centre of Abano, has been fully refurbished and equipped with modern amenities. It provides the ideal opportunity for a calm and peaceful holiday combining wellbeing and relaxation. It has two hydromassage thermal water pools and tennis courts. The natural thermal water and healing mud are recommended for treating a variety of disorders; all the treatments are carried out at the hotel by specialized staff under the supervision of its head doctor. .